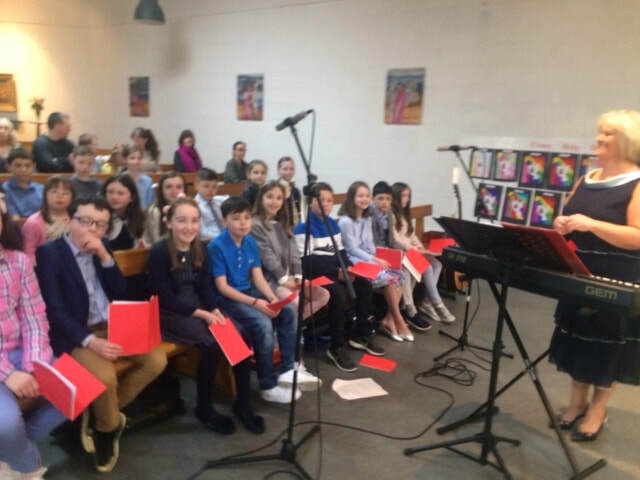 The boys and girls of 3rd and 4th class provided the music for our beautiful Confirmation Ceremony on 14th April 2018. They sang some music from the Laudate repertoire and the O'Riada mass. They really added to the sense of reverence and joy that we experienced at this very special ceremony. Well done as always to our conductor Ms Wallnutt who really knows how to nurture the children's talent and bring out the best in them. 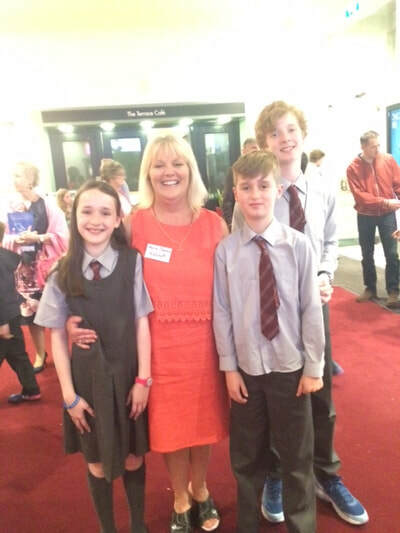 Mrs Cleary said that she was very proud of them and she let them off homework on Monday 16th. 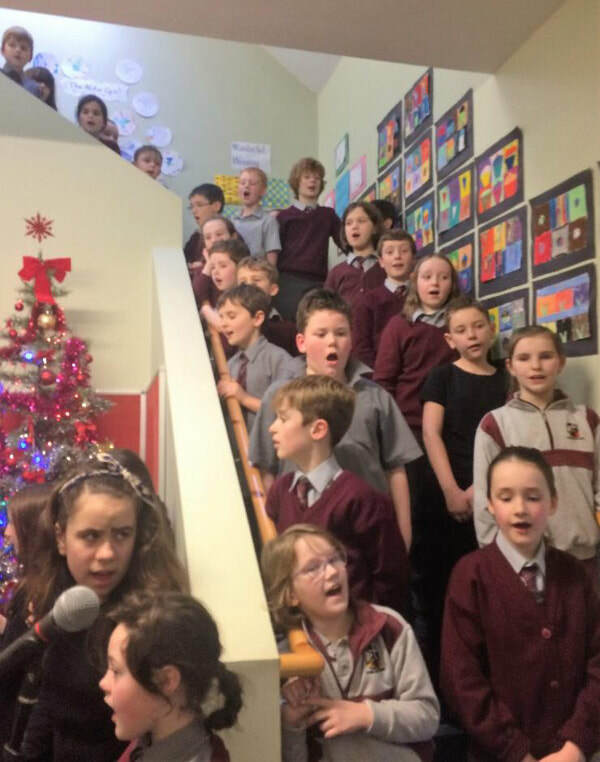 The boys and girls of 5th and 6th class hosted a little party for the choir on Monday to show their appreciation. Choir members from third and fourth class sang for the recent Ceremony of Light for fifth and sixth class. The children came out on a cold evening, in their uniforms, to enhance the ceremony with their beautiful singing. They helped to create a really prayerful atmosphere and we are very proud of them. They each received a lovely pencil and sticker. A small representative group of the school Choir sang for our Grandparents' Day celebration on 2nd February 2018. They added a lovely sense of occasion to the day. Well done one and all! 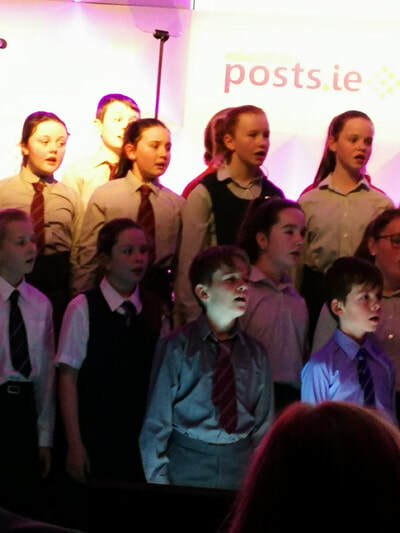 On Thursday, January 25th, 2018, a representative group from our school choir joined children from other schools in the Dublin area to perform at the opening ceremony of the IPPN conference in City West. 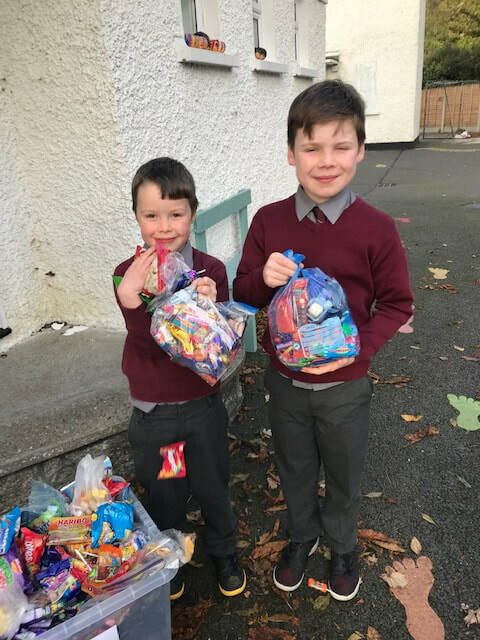 The children entertained the crowd and the principals even joined in when the traditional `Oró sé do bheatha 'bhaile' was sung! On Monday 29th January 2018, the children from the Ms Wallnutt's choir sang in the Laudate Festival which took place in St. Colmcille's church in Knocklyon. 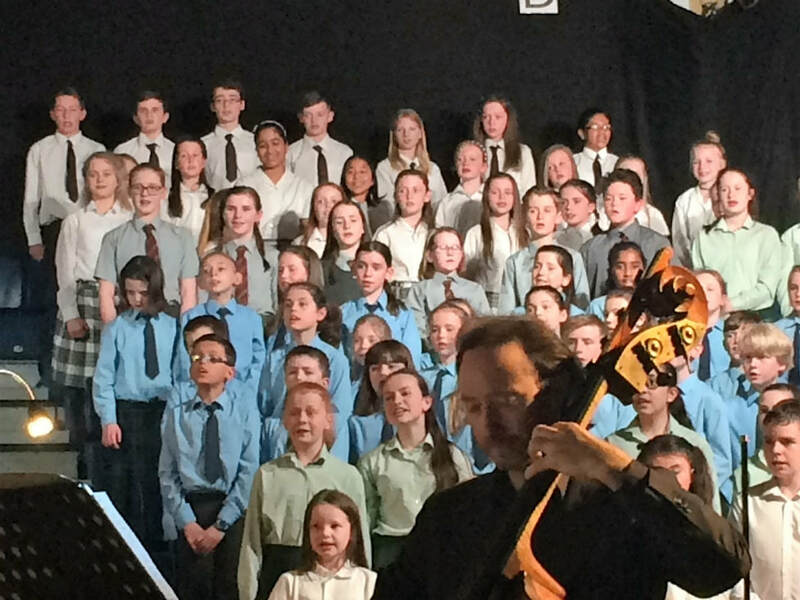 Along with children from ten other schools, they sang a beautiful repertoire of hymns. The children from 3rd - 6th have been having a lovely time singing their hearts out since September. They performed a fantastic repertoire after the Christmas shows and my goodness we were so proud of them. Ms Wallnutt really cheered us all up with the wonderful selection of uplifting songs that she chose. 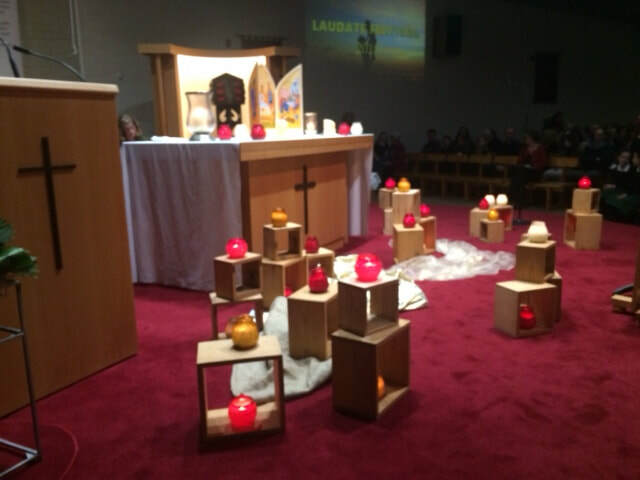 The children are currently practising for the Laudate Festival which will take place in St. Colmcille's church on 29th January 2018. 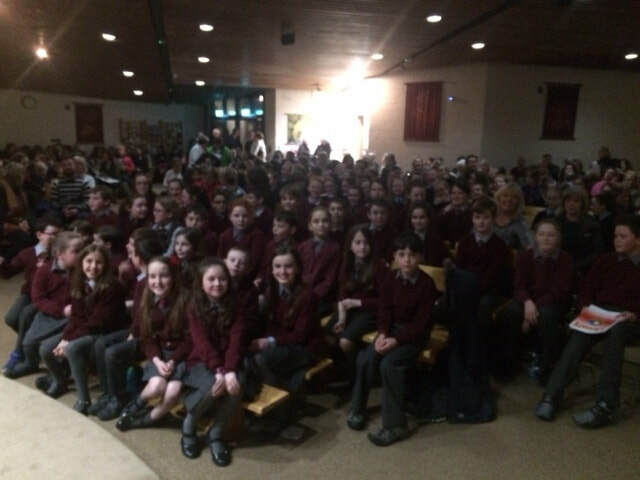 Children from other school choir's will join us as we celebrate Catholic Schools' Week. It promises to be a fantastic evening of song. Some children from our choir were chosen to sing in the National Concert Hall in May 2017. We were so proud of them. Well done Ms Wallnutt! 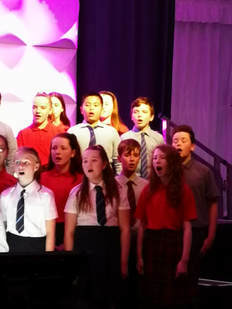 What a wonderful year the school choir has had. Under the wonderful direction of Ms Wallnutt, the children took part in the National Children's Choir. They performed in the National Basketball Arena and in fact, they were so good, a representative number have been chosen to perform in the National Concert Hall in May 2017. 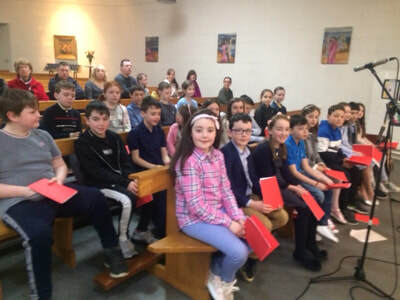 The choir have been wonderful at singing at the Communion "Do This in Memory" masses on Sundays. They are looking forward to singing at the Communion on 13th May 2017 and I know they will make us very proud. The children from the School Choir sang beautifully for our Christmas Choral conducted, as always, by Ms Wallnutt. They are currently rehearsing weekly for the Confirmation ceremony. 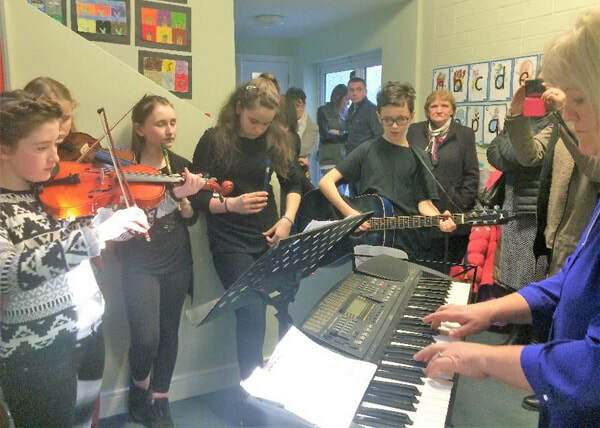 We also had music from some of our talented musicians. 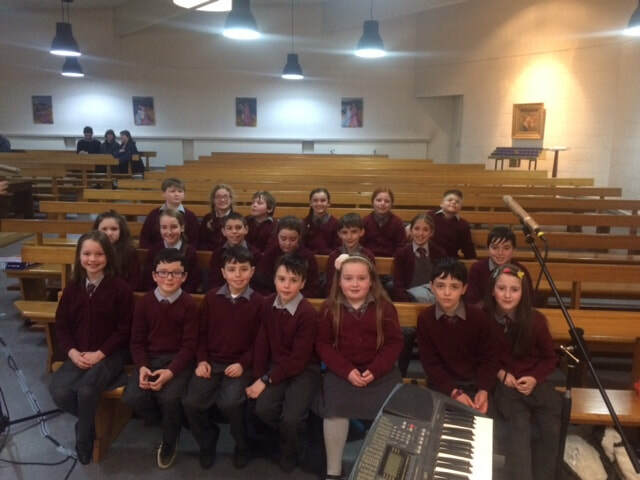 The Children from 4th, 5th and 6th classes took part in the National Children’s Choir for the first time ever this year 2015. Over the year they have learned a varied repertoire of choral pieces ranging from “The Lord is My Shepherd” to “The Rhythm of Life” and everything in between! 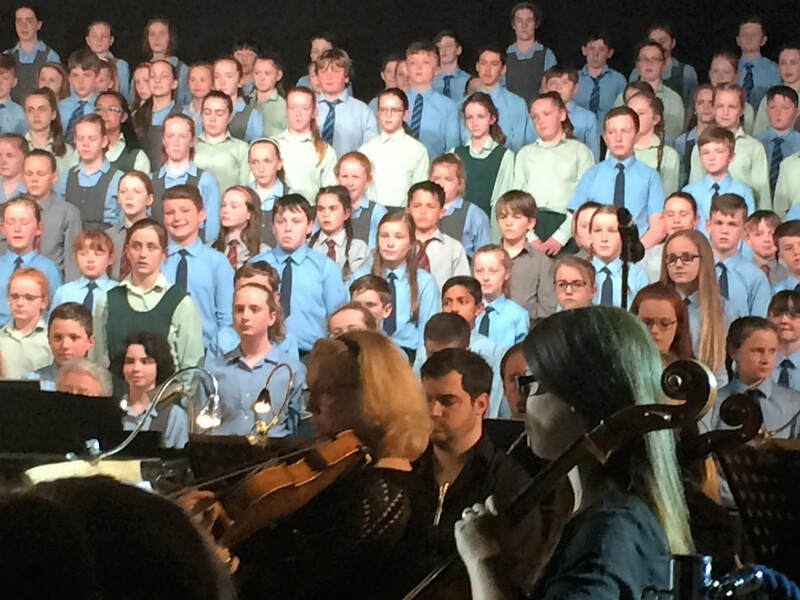 The choir rehearsed with other schools throughout the year culminating in a performance in the National Basketball Arena on April 21st with 300 other children, complete with orchestra. While the work was challenging, the children enjoyed learning all the songs. 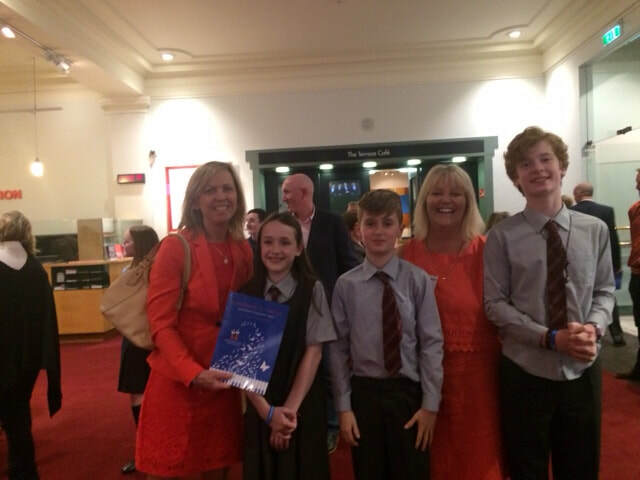 We were so proud of them all and great credit goes to Ms Wallnutt for her enthusiasm and dedication to the choir. 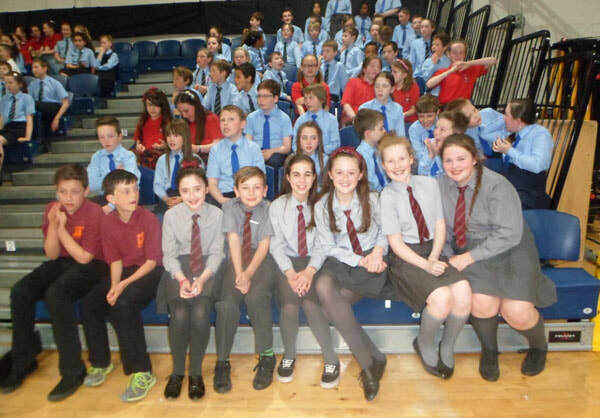 We have been honoured by having seven of our choir chosen to sing in the National Concert Hall on Monday, 8th June. We simply can’t wait to hear them again. A great ending to a great year!